Mad scientist Kinga Forrester’s plan to dominate all media has succeeded in conquering comics! 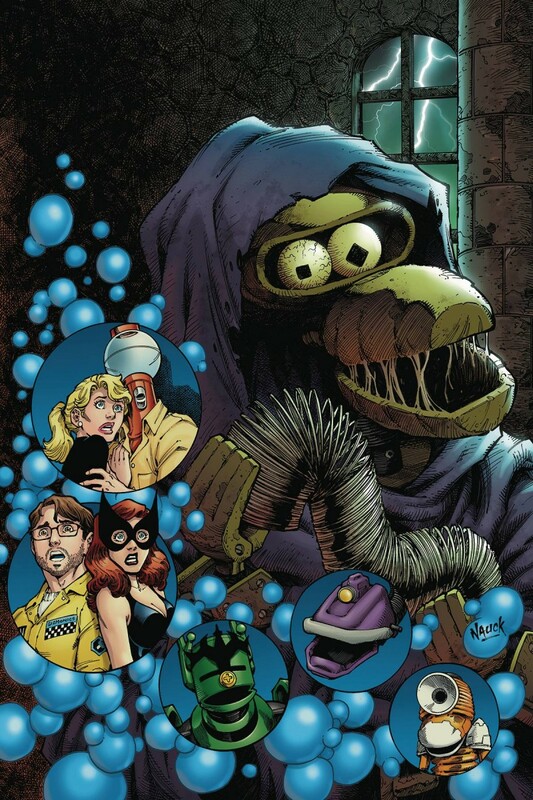 Jonah, Tom Servo, and Crow have been forced into public domain comic books and are desperately trying to riff their way out of them! But has Crow succumbed to four-color fever, or is the strange new persona he’s taken on hold a surprise for Kinga?